If you’ve suffered a workplace injury or condition, your first goal is recovery. Getting back to good health is what should matter most to both you and your employer. But what happens after that, when you’ve healed enough to start thinking about heading back to work? What if you can’t handle the hours, environment and tasks right away? Or ever? Returning to work after time away for an injury or condition can be daunting. However, return to work services are available to help you and your employer plan and execute a safe, effective return, supporting you each step of the way. Here’s everything you need to know about the return to work services offered at Lifemark clinics. What are return to work services? Return to work services involve individualized assessments, rehabilitation, retraining and education on preventative measures. 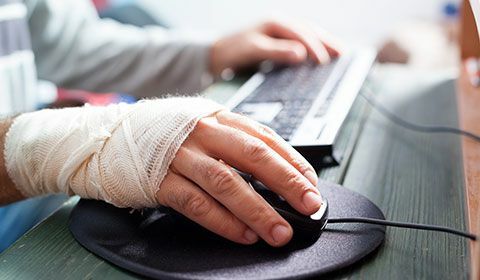 They provide a clear path to workplace reintegration for employees who have been off work due to an injury (whether it happened at work or not) or a chronic medical condition. 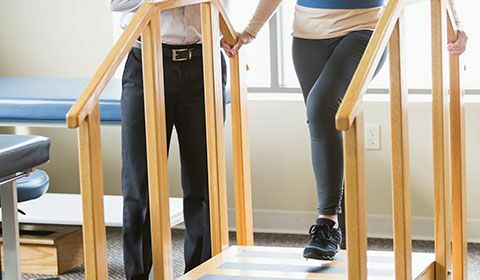 Depending on your injury or illness, your return to work team may include an occupational therapist, physiotherapist, kinesiologist, chiropractor, massage therapist, psychologist, psychiatrist, psychotherapist and/or medical doctors. Our qualified team of clinicians work with you, your physician and your employer to create a customized return to work plan based on a thorough assessment of your functional abilities and limitations, your job responsibilities and workplace environment, to help you progressively build up your tolerance for work tasks. This plan is intended to be transitional, with a fixed duration. The team will collaborate with your employer (and physician) on a gradual return to work schedule and make recommendations on any workplace adjustments or accommodations that may be required. This could include both temporary and permanent solutions. Your return to work plan may involve a range of services both in the clinic and/or at your place of employment. 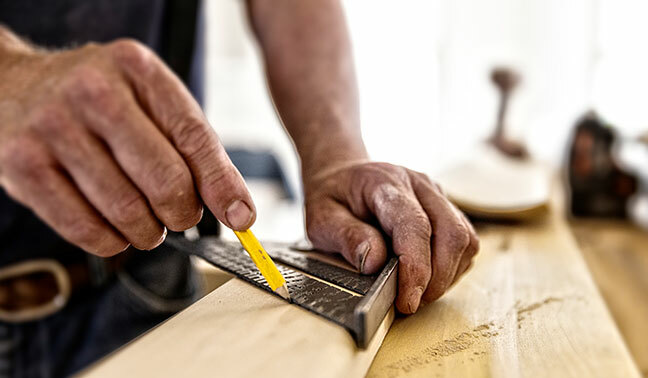 Typically, the first step is to conduct a job site assessment to determine the physical and cognitive behavioural demands of the job and the work environment. The onsite assessment also provides information to help with the planning, evaluation and recommendations for your return to work plan including any barriers or risks that will affect your return. The next step is to assess you, the employee and determine if your abilities match the required job demands. This assessment takes place in the clinic. Ergonomics is the study of people's efficiency in their working environment, often focused on improving workspaces to minimize risk of injury or harm. An occupational therapist or kinesiologist may conduct an ergonomic assessment of your workstation and work environment. 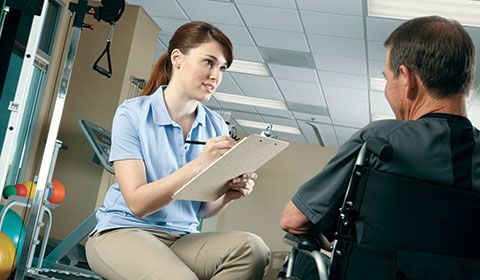 An occupational therapist can assess and provide recommendations for individuals with vision or hearing impairments, and/or cognitive or mental health issues. Modifications can be made on the spot during the assessment and recommendations may also be made regarding equipment or assistive technology along with additional treatment as required. What are benefits of return to work services? Return to work services are beneficial for both you and your employer. It can help to manage symptoms related to chronic conditions, manage expectations, reduce lost work time, decrease lost income and prevent re-injury or other complications. In short, these services can save time, money and frustration—for everyone. 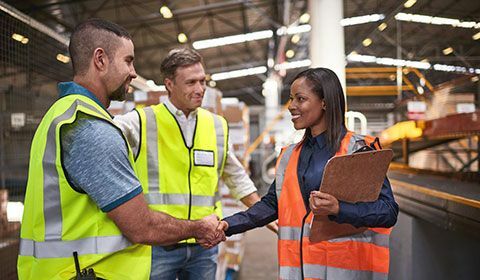 Return to work services ensure that you can re-enter the workplace feeling confident in the level of safety and support for the next chapter of your employment. Reporting the injury to the workplace insurance board in your province, such as WSIB, WCB, WorkSafe BC etc). Maintaining communication with you throughout your recovery and re-entry. Attempting to provide suitable work that is safe, productive, within your functional abilities and matching your previous earnings. Working with you and your healthcare team to complete an FAE and/or CAE. Cooperating with additional parts of the return to work plan and process. What is a Functional Abilities Evaluation (FAE) and a Cognitive Abilities Evaluation (CAE)? A functional abilities evaluation (FAE) or functional capacity evaluation (FCE) is a comprehensive assessment of your physical and functional abilities, using objective and measurable tests. A CAE is a comprehensive assessment of your cognitive-behavioural and functional abilities, also using objective and measurable tests. Both evaluations can be general or specific to your job and related duties and both are used to determine your abilities, impairments or disabilities, which will impact your job tasks when you return to work. They can also help determine if any modifications or restrictions are required for you to do your job safely and effectively. Some clinics also offer comprehensive evaluations to aid employers as part of their hiring process for new employees. Clinicians assess a candidate’s abilities to perform the physical and cognitive-behavioural demands of a specific job and provide recommendations to the employer.